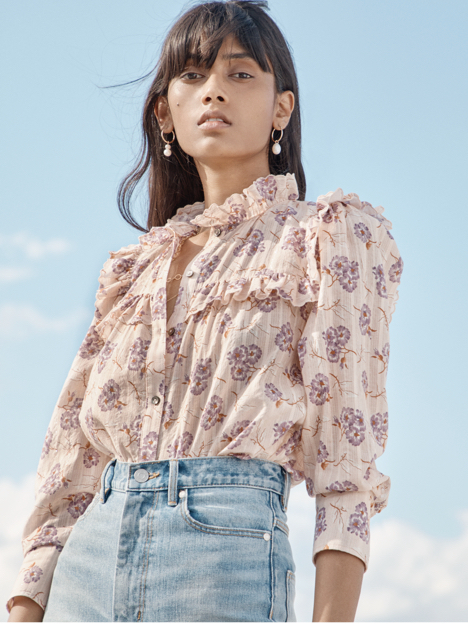 This delicate short-sleeve blouse showcases a rich mix of texture and detail. This delicate short-sleeve blouse showcases a rich mix of texture and detail. Its yoke is crafted from a sheer, textural chiffon that meets intricate lace at the sleeves and bodice. Grounded with a solid black crepe base, this top is ideal from day to dark.